• Lowest CG of any hybrid creating a higher launch with lower spin. • Slot within a slot Velocity Slot Technology. • Titanium slot in the crown with a stainless steel slot in the sole helps lower the CG and increase the launch angle. 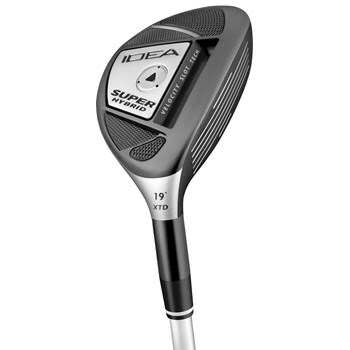 • Slot within a slot increases the COR over the entire clubface for higher ball speed and forgiveness.